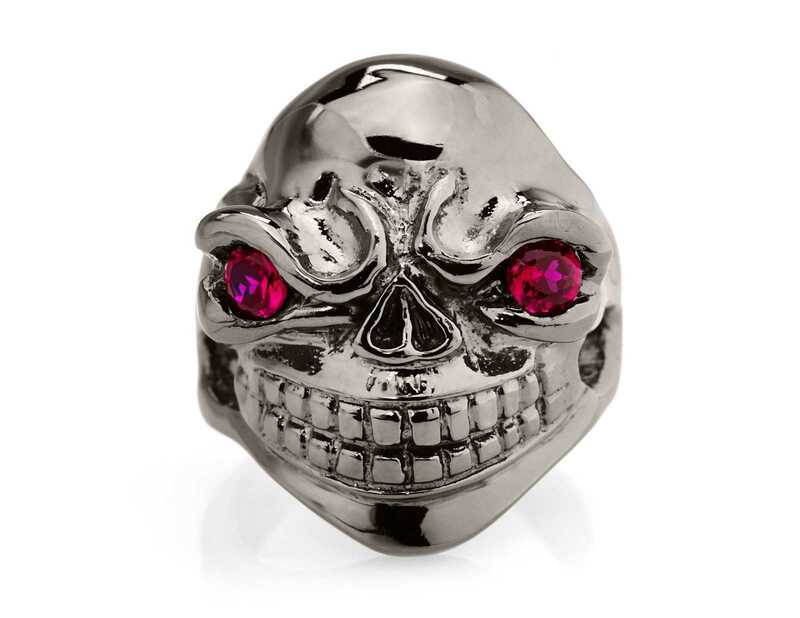 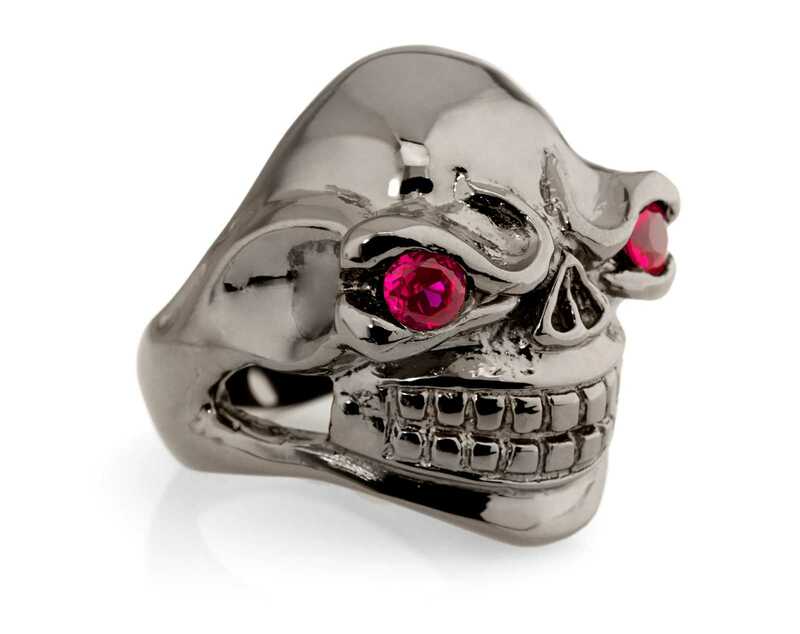 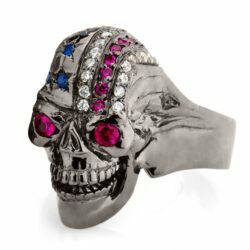 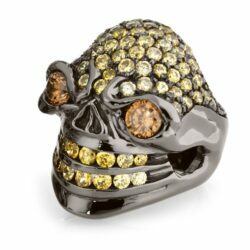 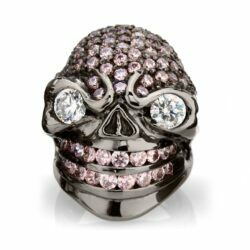 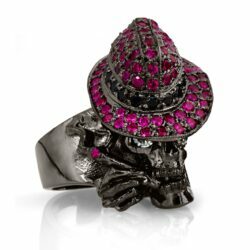 The Sinister Sid skull ring is hand crafted in high quality Sterling Silver and each colored synthetic red stone is set by hand. 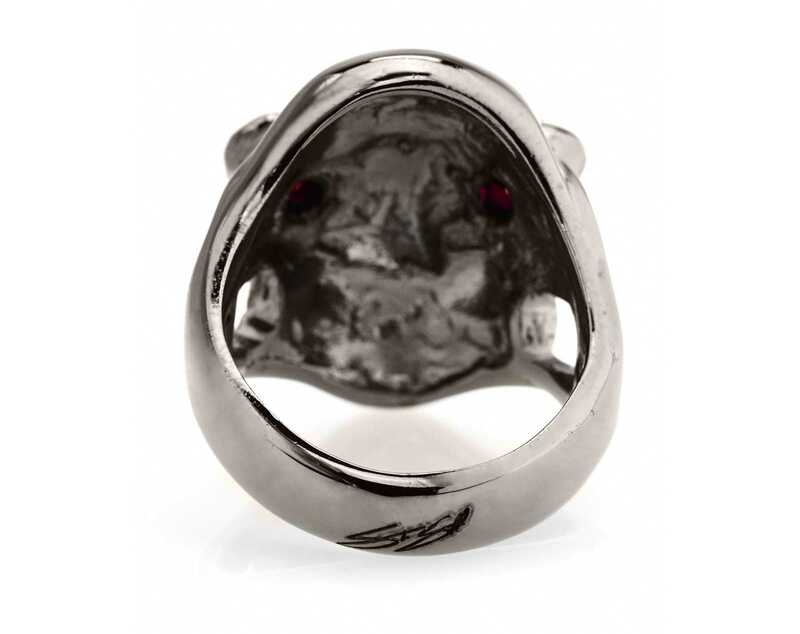 The finish is polished by hand, then finished in high tech black rhodium plating. 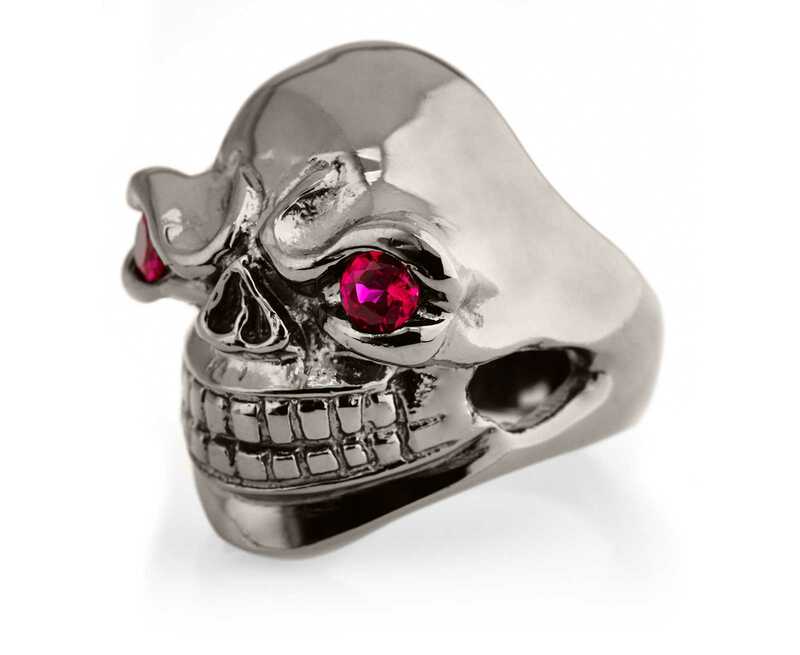 (this piece is also available in polished silver).